Why am I showing you this bag of beans that look like little cows? Read on! I am home again today, taking another sick day. I am doing this for two reasons. 1. So I don’t spread my illness those around me, particularly my coworkers. 2. In recent years, I have found that despite being able to work when I am sick, I get well faster when I stay home. I, however, feel like I am more of a photographer than a journalist, so my slogan might be, “I have developer in my veins.” I know. Kinda gross. Today’s biggest surprises were found at Wal Mart, where I went for cold medication and basic supplies. Normally we don’t think of big box stores as places that can make us smile. 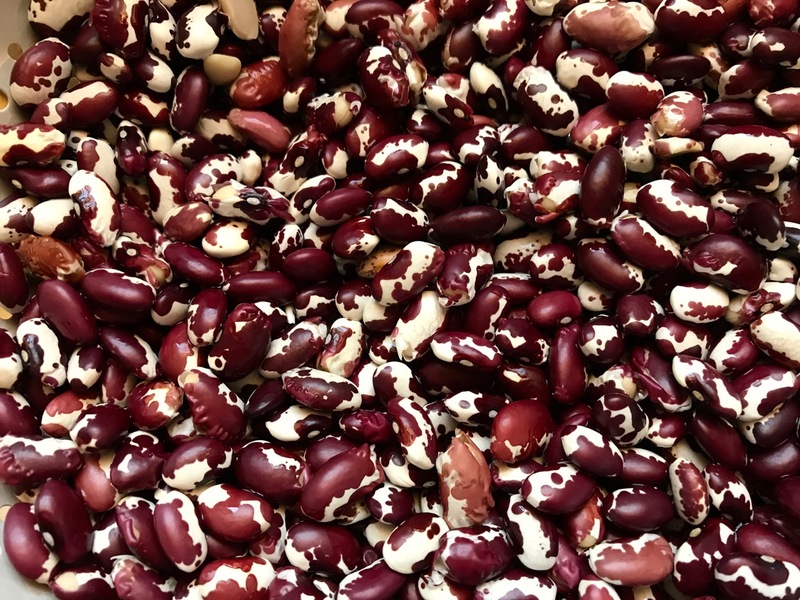 Our Anasazi beans sit on a colander after I washed them in preparation for the crock pot. Aren’t they beautiful? 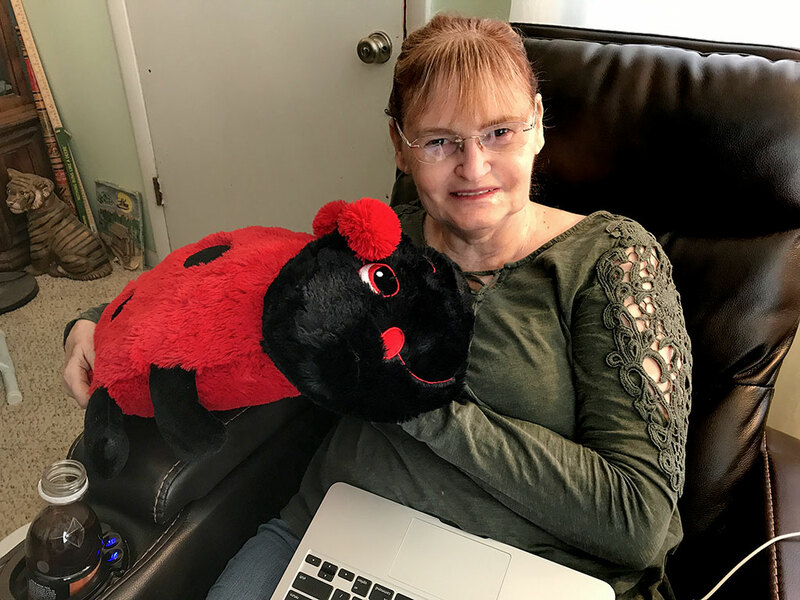 The first was a huge bin full of stuffed ladybugs; I brought one home for Abby, who I know loves ladybugs. The second was on the bean aisle. I know, a surprising bean? 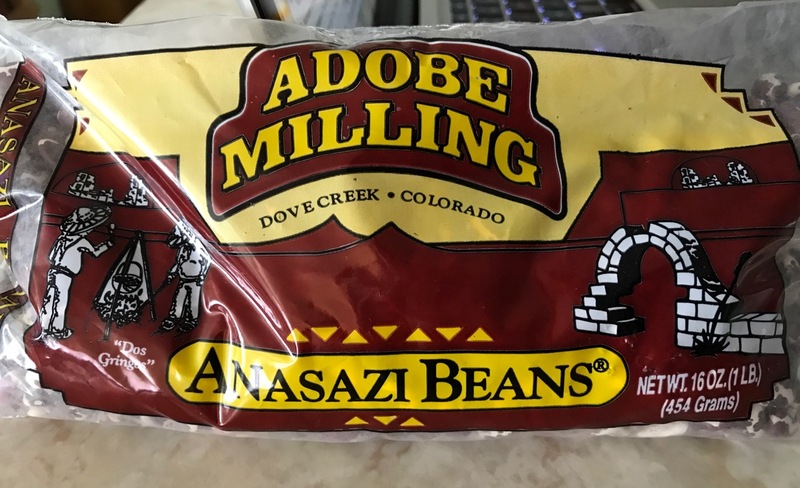 The beans I saw were Anasazi beans from Adobe Milling Company of Dove Creek, Colorado. On our travels, Abby and I have passed through the sleepy town of Dove Creek maybe a dozen times over the years, usually on our route home from Moab, Utah. I also love the idea of eating a product grown in high country sunshine. Seeing the bag of beans with the same logo I remember from the bean mill in Dove Creek definitely made me smile. I bought them and brought them home to Abby, who also smiled, and suggested we have them for dinner. Abby smiles as she poses with her pre-Valentine’s Day ladybug. Abby and I both love ladybugs. It merits saying that after cooking and trying these beans that they are around the best I have ever eaten.